The Passage Tx, Seaward’s newest Thermoform double, is a speedy, lightweight tandem with a stable hull, comfortable for new and experienced paddlers. We have developed the cockpits to accommodate paddlers of all sizes. The outstanding comfort of the Passage is excellent for an afternoon cruise or a multi-day trip. 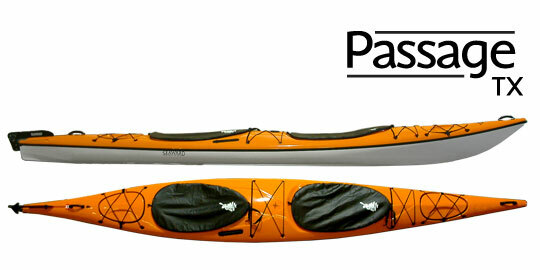 The Passage Tx is not only incredibly stable – ideal for fishing, photography and wildlife viewing – but with its long waterline length, astounding volume, dry ride and comfort, the Passage Tx is a capable long range cruiser yet a fun kayak for an afternoon paddle. Just another proven Seaward kayak design made in the ever durable, good looking ZyTx! An excellent value – affordable price.